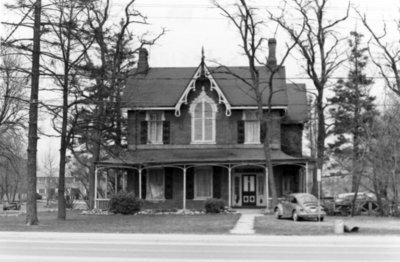 A black and white photograph of 552 Dundas Street East. This is a front view of the house which was built in the 1850s and demolished in 1977. 552 Dundas Street East, April 1974, Brian Winter. Whitby Archives 17-034-003.